February 17, 2016 Maria Valley	Be the first to comment. February 15, 2016 Maria Valley	Be the first to comment. 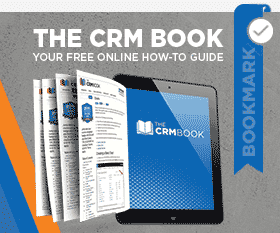 What are the factors that contribute to how the end-users experience the performance of CRM? In this webinar, we’ll provide an overview of workstation, server, and environmental factors you need to consider. February 9, 2016 Maria Valley	Be the first to comment. During this webinar, we will discuss how Microsoft Dynamics CRM can help drive out OPEX in your customer care center, while providing key KPIs to help you make informed business decisions to delight and retain your customers. February 5, 2016 Maria Valley	Be the first to comment. This webinar is an introduction to integrating Microsoft Dynamics CRM with Microsoft Azure. We’ll explore typical integration scenarios between Microsoft Dynamics CRM and the Azure Service Bus. February 2, 2016 Maria Valley	Be the first to comment. For organizations using CRM Online, Server Side Sync is extremely powerful and provides a ton of value. January 29, 2016 Maria Valley	Be the first to comment. This webinar will help you understand the most common issues organizations experience with servers and workstations–both CRM Online and CRM On-premises. January 27, 2016 Maria Valley	Be the first to comment. The recently released API provides more extensibility options for developers to build on top of Microsoft Dynamics CRM. In this webinar, you’ll discover the benefits of the new web API and how the changes will impact your current and future code. January 21, 2016 Maria Valley	Be the first to comment. This webinar will challenge you to think about new ways of streamlining your tasks and potentially how to deliver more value to your end-users through taking advantage of tools that are available within and outside of the application. January 19, 2016 Maria Valley	Be the first to comment. In this webinar, you’ll get an overview and live demonstration of the various out-of-the-box mobile options including how they are implemented and consumed by users. You’ll learn the best practices for setting up and using the mobile capabilities and things to consider before you implement. January 15, 2016 Maria Valley	Be the first to comment. This webinar will look at the front-end and what end-users will experience when you upgrade so you can get an idea of the impact from a rollout and training perspective. It will also get your mind churning as to what features you’d like to adopt sooner than later.